As it is the case with almost all of the nature, many butterfly and moth species are seriously threatened with extinction. The main reason is the degradation of species habitats due to high human population densities and further population explosion, agricultural intensification and steadily increasing claims in conjunction with too slow technical progress. Life needs habitat to survive - as already wrote H.-J. Weidemann (German Lepidopterologist) already in 1995. But the habitats of animals and plants on earth get more and more limited by many means. Most butterflies and moths are dependend on special biotopes. It is not enough at all if the host plant grows in sufficient quantity at a given location. Rather important are the state of the plants (nutrient state, growth form), the microclimatic factors, the mechanical conditions (mowing, grazing, treading) and the availability of further requisits such as nectar plants for the imago. There are also other factors such as the size of the area and the degree of isolation of the population. These considerations are illustrated by an example. The skipper Pyrgus cirsii is in danger of extinction in Southwest Germany, although its larval host plant, the cinquefoil Potentilla neumanniana, is still growing in many places. The key to understanding the decline of the species is in the species' claims on the larval habitat. Pyrgus cirsii deposits eggs only where the host plant grows under extremely warm microclimate conditions, namely at places which are covered only very sparsely with higher plants, often rocky, moss-rich areas that are most often extensively grazed by sheep. If the grass growth becomes too dense, no more eggs are deposited. Moreover, the butterflies fly very active and so need a large area. But as a result of eutrophication (including by air: nitrogen deposition), abandonment of the former grazing pastures, bush encroachment, reforestation, construction of roads and residential areas, establishment of large modern quarries (limestone) etc., the potential habitats are becoming less and less and the remaining areas smaller and smaller, so that the advanced stage of the extinction process is not a kind of miracle. Formerly Pyrgus cirsii had a scattered distribution on the whole Swabian Alb (Southern Germany, Baden-Württemberg). Today only a single occurrence is left! The much-discussed impact of climate change on such species which live at the margins of their total distribution should always be viewed in connection with the deterioration of habitat quality. These described causes apply in similar form for other native habitats in Central Europe. It should be noted that most butterflies are dependend on nutrient-poor and bright, sunny structures. Nutrient-poor calcareous grasslands in the dry (e.g. 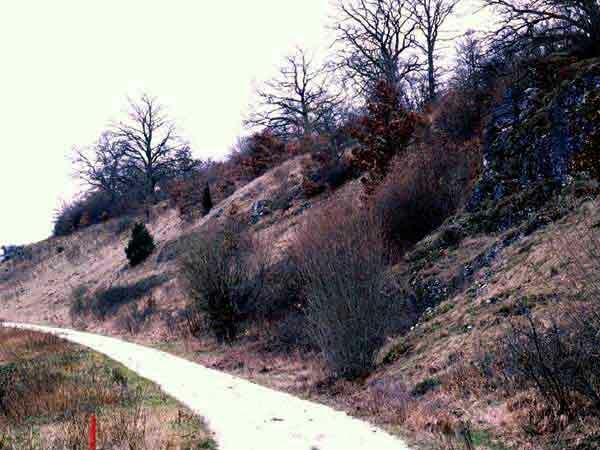 limestone Juniper heath) and humid (calcareous fenlands) area show the highest species richness in Central Europe. This is because of an incredible number of niches (e.g. some 100 plant species) which makes possible the coexistence of a high number of species. The nowadays uniform green intense and overferilized agricultural grasslands, however, is completely uninteresting for most butterflies. It may sound paradoxical that many of these nutrient-poor habitats that still exist today, owe their existence to man. At a time when there were no chemical fertilizers and stock farming was different than today humid Molinia grasslands (bedding for stables), heathlands ("sods" = remove the litter layer in order to use it on fields as fertilizer) and sheep pastures (pens at night established on arable land for nutrient enrichment) have been regarded as valuable. But with agriculture change such land was no longer needed and reduced more and more as a economic useless wasteland. Fens have been drained for agriculture, fertilized and thus converted into intensive manure grassland and corn fields. Nutrient-poor grasslands and formerly extensively managed meadows suffered the same fate. Moreover there were reforestation with virtually worthless conifers, construction activities of any kind, setting up barbecues, garbage dumps, etc., so that today for example 99% of the well-known "Lech Haiden" (calcareous grassland in the vicinity of the alpine river Lech) in Southern Germany are destroyed. One might argue that many of these habitats owed their existence to man. But the former primary habitats of the ancient landscape of Central Europe fared little better. Once extensive bogs in the northern foothills of the Alps or low mountain ranges (Black forest, Fichtelgebirge, Bavarian Forest etc.) and in Northwestern Europe with their species-poor but highly specialized biocenosis have been exploited (peat!) and converted into agricultural land. The surrounding moors, species-rich fen areas, have been afforestated with conifers (especially spruce in Southern Germany). Moreover further primary habitats like the formerly extensive rearrangement areas of rivers and streams (especially those coming from the Alps like the Rhine, Iller, Lech and Isar) have been quickly destroyed except for tiny rests due to channeling, construction of barrages for electricity. Once, among others, there could develop natural calcareous grassland fragments intersected with light shrub formations, which showed high dynamics. And what happened to the forest, that we really love? Well, the original state before the transformation by man according to the latest scientific knowledge was not dense, light-poor forest, but a mosaic of different successional stages with many bright areas such as in the decay phase (among others also caused by wild animals, keyword megaherbivores, probably additionally beaver). In past centuries, a part of the forest was cleared and the remaining forest was used (or damaged as a forester would say) by forest grazing, traditional coppicing management, charcoal, firewood and litter collection. But what did this mean for the Lepidoptera? For this one needs to know that the vast majority of the forest species are really inhabitants of grassy and herb-rich, bright border areas or clearings. This signifies that they need clear, sunny structures. Thus, due to the mentioned causes the most light-loving animal and plant species have been favoured and could spread. But gradually there was a rethinking due to lack of timber that resulted in the introduction of a planned forestry. 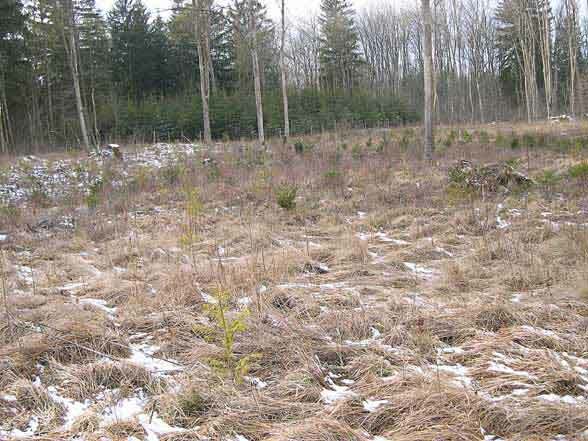 From that on the dense forestation with non-native conifers started, but also with maple, etc., which has affected to date almost every former clearing e.g. in Germany. Thus the once bright and gappy forests have been transformed to spruce fields or dense beech forests. The effect was enhanced by forest-pasture separation, and even today this is also arrogated and promoted in the mountain forests. Add to that the eutrophication by airborne pollutants (among others, blackberry and nettle explosion) and the always spread of neophytes as Solidago canadensis and Impatiens glandulifera, so that today there are only a few bright, sunny and not too nutrient-rich forests left! Also the in some regions lond continued traditional coppicing management for firewood was gradually abandoned about during the 20th century. The current forest has thus in many areas not much in common with the original naturally occurring forest and even newly established "forest reserves" (eg Bavarian Forest) cannot reach this former state any more because of changed conditions! After an at least for the majority of species rather beneficial, limited "exploitation management" in the Middle Ages, there was therefore in our days a massive depletion of forests compared to the original primeval forest in Central Europe. Another problem is the riparian forest. Especially in the softwood- and underwood-rich, highly diverse riparian forests there have been the largest destructions because they provided little timber and in the course of river regulation. By ligation of the natural water flow regime of rivers (flood control), dense afforestation with allochtonous tree species, road construction, urbanization and conversion to corn fields more than about 95% were also destroyed. Many species of the bright forests have survived until today only because of the clearcutting management that had repeatedly created temporary clearings. But nature conservation circles plead for a so-called "Plenterwirtschaft" (only cutting of single trees instead of clearcutting areas) which would be environmentally friendly, but such a at least in Europe short-sighted strategy could extirpate many species because of the lack of clearings. Thus we are already in another threat factor, namely the nature conservation itself. I do not want to hold any cynical and inappropriate general scolding here because undoubtedly many people in official and voluntary nature conservation perform a committed and competent job. Many habitats are now maintained by proper means such as juniper heathlands by shrub removal or fens by mowing and additionally are at least somewhat better protected from overbuilding than before. But the problem should not be kept secret. The main problem is in my opinion that for reasons of cost, personal preference and the smallness of the remaining high-quality biotopes there are sometimes very one-sided results. So nature conservationists sometimes think of "overexploited nature" if they see an extensively grazed, steep grassland slope with many bare open ground and erosion surfaces. But just the fact that species such as Chazara briseis and Pyrgus cirsii, but also plants, wild bees, grasshoppers, etc. are dependent on such structures, is not considered because of unawareness. Really overexploited is the todays' agricultural landscape! Often, people are specialized on one group of organisms, such as birds or orchids. An example should also support this. Many groups are active in protection of birds, amphibians, dragonflies or are planting hedges etc. They just want to offer an attractive program to their youth groups. Often because of a lack of space (good areas are not abandoned by farmers for example) they create ponds or plant trees, etc. sometimes placed just in the last remaining ecologically valuable rest areas where the damage to the existing biocenosis is greater than the benefit. Even the widespread bad habit to plant trees and shrubs in such areas is very dangerous for these small habitats. Such actions are only of value, if they concern previously ecologically dead space as farmland, manure meadows and spruce forests, although the local abundance of nutrients can make it more difficult. Sometimes you can observe an unhealthy because not very competent activism and a competition among enthusiasts of certain organism groups (birdwatchers, orchid fans ...). Thus, an area in the "Donaumoos" near Leipheim in Southern Germany, a dry and partially grazed former fen, has been "rewetted" (resulting in higher water level) from nature conservation despite of concerns of longtime connoisseurs of the area. This sounds good at first glance, but if you look at the circumstances more deeply, the problem becomes clear. In the area many species have settled that are threatened by extinction and are adapted to drier conditions as Pyrgus armoricanus and Polyommatus baton (both Red List 1), adjacent wetlands seem to be adequate for the wet land species. Due to a strong densification and increase of the vegetation such a rewetting can here only impact to the effect that the two major target species of the nature reserve will disappear or at least be severely damaged. 2008, a significant change in vegetation could already be seen, a sheep grazing is likely to be abandoned in the long term. For the implementation of measures the main habitat of Pyrgus armoricanus was strongly directly affected, although it was known by a study. Such efforts should only be done in far less ecologically valuable areas or if studies attest to the benefits and the degree of safety. Even in the high mountains (Alps) parts of the habitats are more and more destroyed by tourist facilities (ski tourism, cable cars, etc. ), energy generation (reservoirs, infrastructure) and intensification (manure even on mountain meadows), even if there will be not such a thoroughness as it is the case at lower elevations because of the relief. The summarized conclusion is that nature in Central Europe is in a bad condition in many places, so that the gradual extinction of more demanding species is a fact. Unfortunately, the alienation of man from nature is now so advanced that many people celebrate dandelion flower time on ecological dead manure meadows as pure nature. Further exploitation of nature for example for bypass roads is now cynically justified with the allegation that there would be already care for each frog, but that in the meanwhile man would remain on the track. Now, bear in mind that objectively at least 90% of the landscape has already been withdrawn more or less completely from nature, so therefore is already serving man. We have already reached a stage where each building project, each new road, each new leisure-time activity etc. acts harmful! 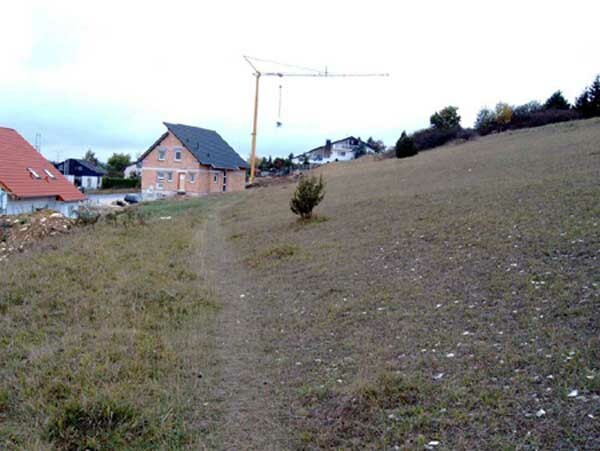 Only in the Alps there is still more nature left thanks to better starting conditions (slope complicates use) or it only takes longer to force nature higher and higher (increasingly intensive use in ever higher altitudes). In Central Europe only such species are still frequent, whose caterpillars feed on nutrient-loving plants such as nettles or cabbages like Peacock, Admiral, Painted Lady, Small Tortoiseshell or the cabbage whites. Many people who observe these ubiquists in the garden at Buddleja, say that "the world is still in order." 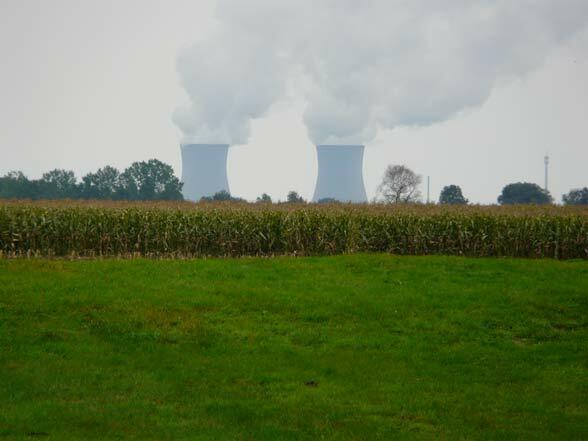 The direct loss of habitat and the resulting fragmentation and isolation due to overbuilding (streets, industry, settlements), intense modern agriculture, power generation (hydropower, solar parks, conversion of meadows into corn fields for biogas etc. ), leisure industry (biotope destruction and devaluation due to tourism, especially obvious for example in many regions of the Mediterranean, the Alps and on the Canary Islands), intensive forestry, abandonment of formerly extensively used habitats, groundwater drawdown due to drinking water extraction and river regulation, etc. The most important factor which affects the largest area and this since many decades is the EU-supported and EU-arrogated agricultural intensification that can be described as devastation of the landscape in the ecological sense! The creeping eutrophication of the landscape, for example, from the air or from adjacent agricultural land. Nowadays the amount of airborne nitrogen inputs to the landscape is many kilograms per hectare and year, originating from transport, industry and agriculture! Moreover, nowadays the proportion of CO2 in the air is adout 25% higher than it used to be. CO2 is limiting plant growth especially in those cases where it is the decisive minimum factor. Along with increasing isolation and increasingly suboptimal site conditions (see other two points) the impact of climatic changes and extremes is stronger than for species that live in optimal habitats. Climate change produces winners and losers. As the losers (e.g. continental species like Limenitis populi, mountain species, glacial relicts such as Boloria eunomia) decrease permanently and retract their range, there are on the other hand many species which increase in abundancy and extend their range towards the north and up the mountains. In Central Europe, especially species with more than one generation per year are to be mentioned here, e.g. Lasiommata megera, Lycaena dispar, Cupido argiades or Polyommatus agestis. Often mentioned as the reason for legal protection (without habitat protection pointless) of species is the butterfly collecting. Besides the fact that only a few still pursue this hobby, collecting without scientific purpose is justfied with stamps, but no longer with threatened creatures. Scientists occasionally have to take specimens in order to provide correct determination with difficult to determining species or for ecological surveys. This is now subject to special case authorization, which can impede research in some way. Such permits must be applied for well in advance, but it is in the nature of science that questions arise often unpredictable and at short notice. On the other hand such approvals are for free today and at least according to my own experience as well willingly granted in reasonable requests. This much-discussed problem will not be further deepened. Anyhow it must be noted that insect species with their high reproduction rate, in which the loss of almost all offspring is calculated, can be threatened by collecting differently from threatened vertebrates only in special circumstances and this factor can be seen as subordinate. Such circumstances would be that the species is very attractive, occurs only very locally, is easy to collect and already has declined strongly. A prime example of this are the non-alpine populations of the Apollo butterfly. Only those few species should be included in legal protection measures, with some other species only local populations in rare cases.